Home > Market Commentary	> After 3 Months of “Risk-On,” Can Stocks Levitate Above the Economic Fray? After 3 Months of “Risk-On,” Can Stocks Levitate Above the Economic Fray? 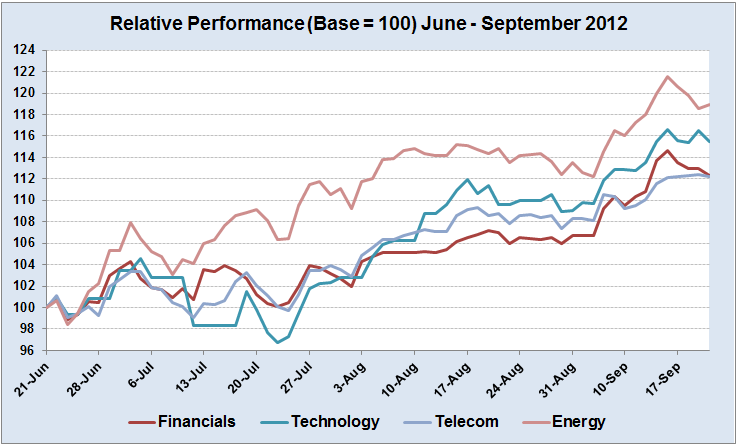 Financials, Technology, Telecom and Energy stocks have risen 12.5%-18.5% in the past 3 months. 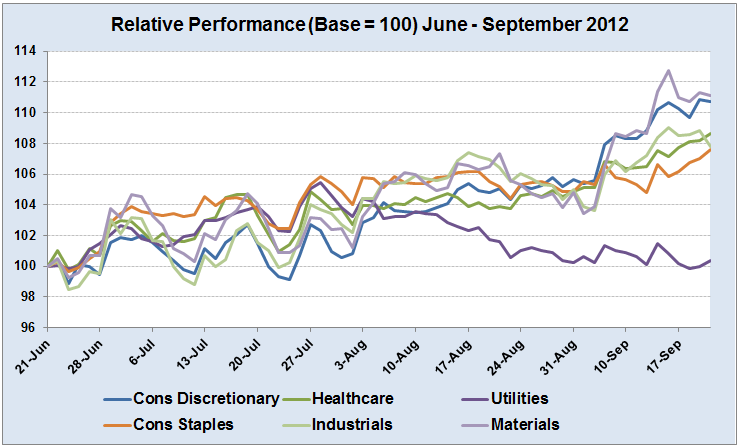 The remaining sectors shown below have risen 7%-11%, except for poor lowly utilities, which are largely unchanged. I consider it inarguable at this point that much of the world is in a coordinated global recession. 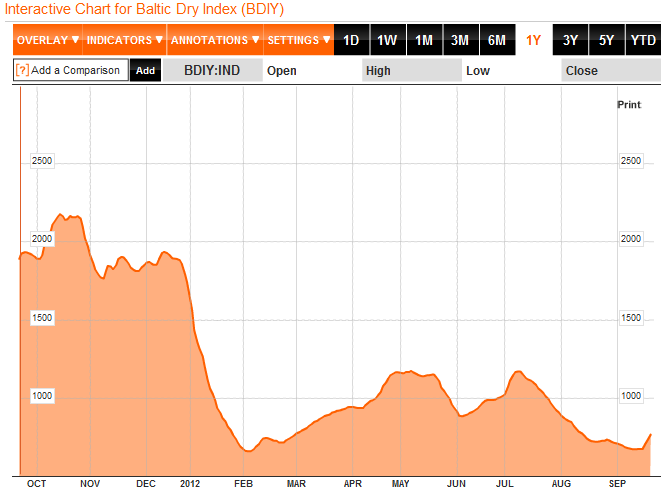 Of course, there is no law of physics that requires equities to discount economic conditions. 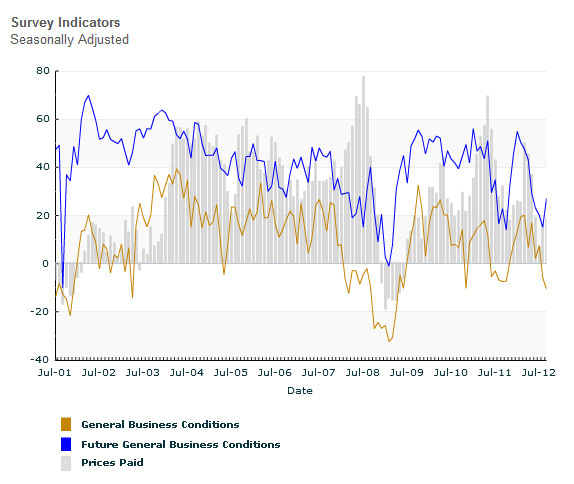 Traders can set their bid and ask prices on any criteria they like, so it remains possible that they will continue to value free speculative capital more than economic reality. But if they do, it’s just going to make the inevitable correction a lot more . . . interesting. As long as I’ve been keeping track, “This time it’s different” has never been the last word in markets. Please share freely. Thanks for your interest.